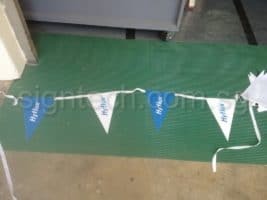 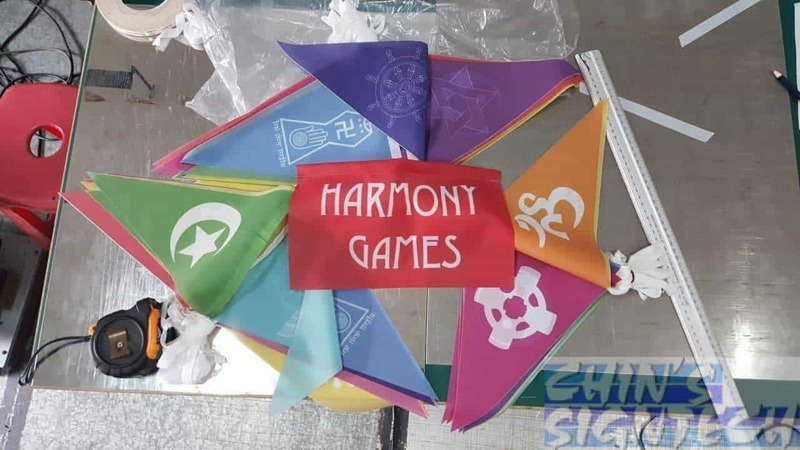 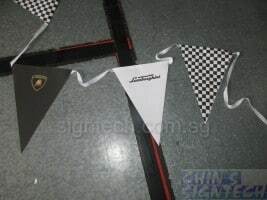 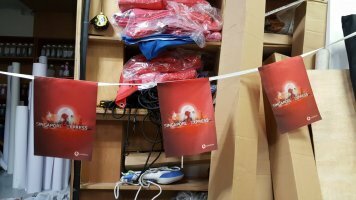 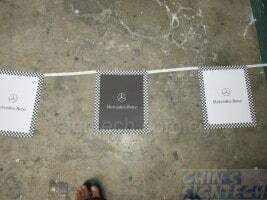 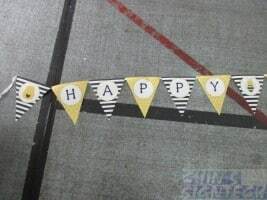 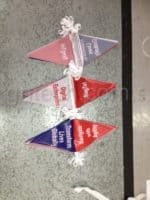 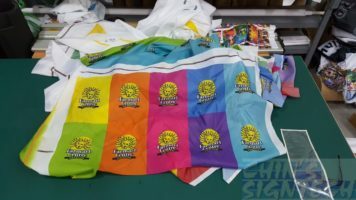 Custom Triangle Flag Pennants Bunting for opening ceremony and events. 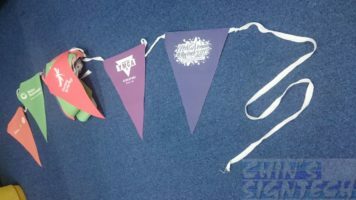 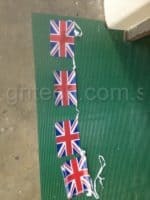 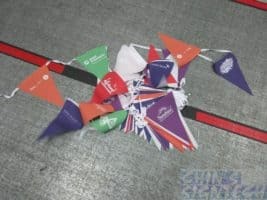 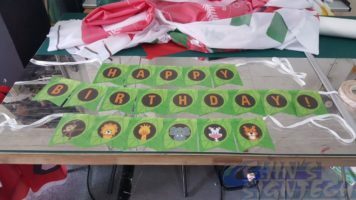 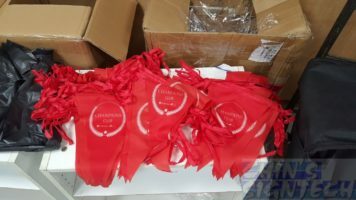 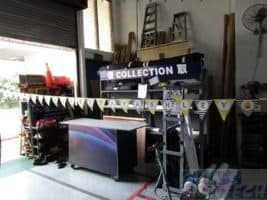 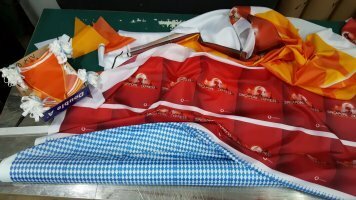 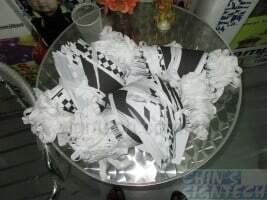 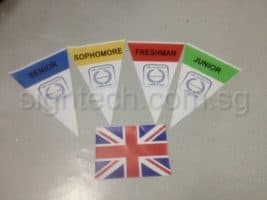 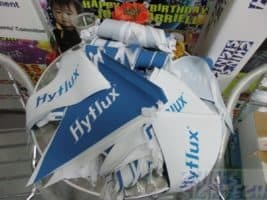 They are often used on our National Day, why not decorate your event with these amazing colorful Triangle Flag Pennants. 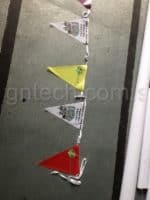 Customized it with your brand, company logo or graphic. 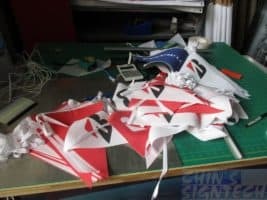 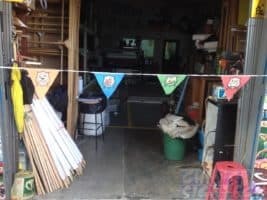 10 meter can put around 24 pieces of A4 size Triangle Flag Pennants with A4 size spacing. 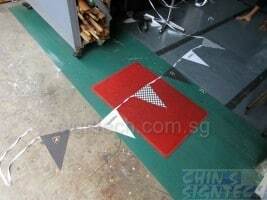 Single sided is good enough for display because images at behind can be seen. 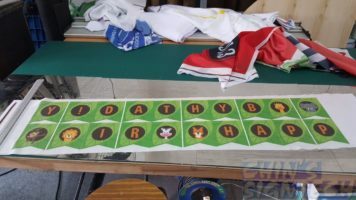 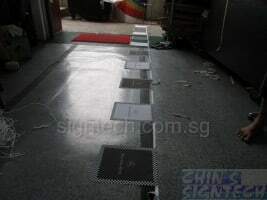 Fabric are printed with mirror effect.